New York Oyster Week works passionately to build awareness and raise funds for non-profit organizations working to protect and restore habitats where oysters thrive. These organizations represent efforts that create cleaner water and provide habitat for hundreds of other species in New York Harbor, the Hudson River Estuary, Long Island Sound and beyond. 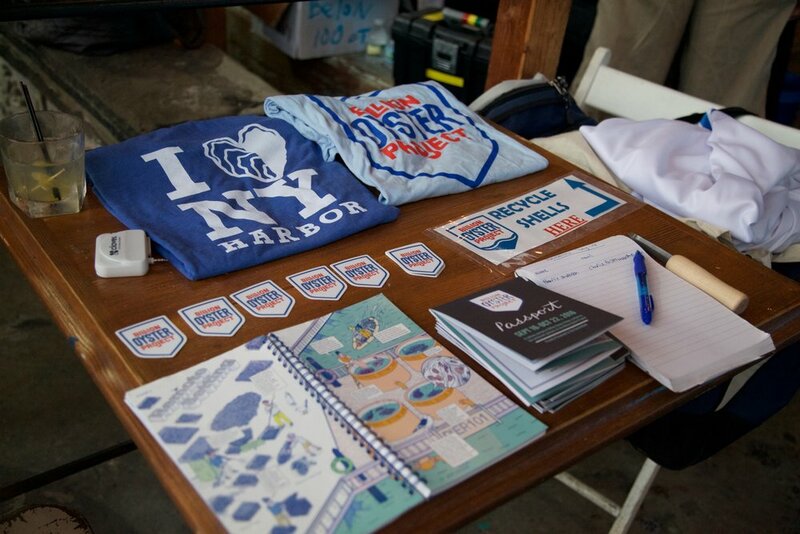 In addition to a dizzying array of food, drink and fun, New York Oyster Week will host the single largest oyster shell recovery effort New York has ever seen. In partnership with the Billion Oyster Project (BOP) and its Shell Collection Program, we will sort and collect oyster shells throughout the week! Shells will be shuttled to the NRG Arthur Kill Power Plant where they will cure for a year before being reintroduced to the Harbor as cultch and reef substrate. 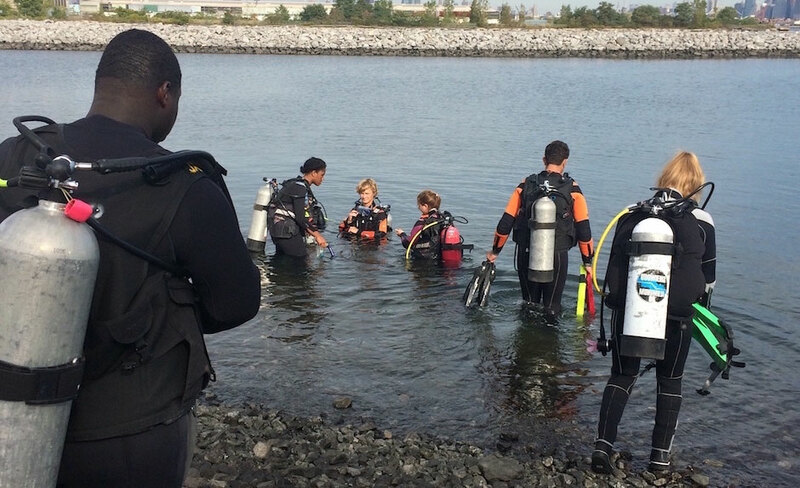 BOP aims to restore one billion live oysters into New York Harbor and to do all that work with public school students by engaging students in hands-on restoration based education. 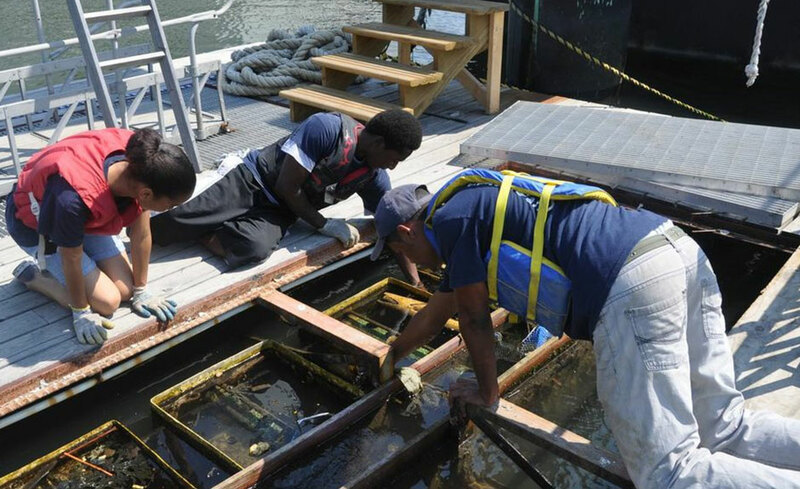 Through a partnership with The New York Harbor School and 35 other schools throughout the city, thousands of students each year contribute to the restoration of New York Harbor. Over the past decade, over 1,400,000 visitors have enjoyed the Conservancy’s free events and activities in Brooklyn Bridge Park. In 2015, they welcomed 175,000 visitors to over 500 free and low-cost cultural, educational, and recreational events in the Park, and Conservancy education programs drew over 10,000 students from 50 New York City schools and free day camps. This year, join them in Brooklyn Bridge Park for boating, fitness classes, volleyball workshops, stargazing, chess lessons, history tours, seining, movies, concerts, and more. Get involved in Brooklyn Bridge Park. As Brooklyn Bridge Park continues to grow, they rely on your help to program, maintain, and complete this remarkable 85-acre public amenity. Volunteer. The Conservancy’s volunteers logs over 6,800 hours per year helping to support programs, visitor services and working to keep the park beautiful and clean. Support. We need your help to bring all the free activities and events that make Brooklyn Bridge Park a dynamic urban space. Enjoy. We are proud to support this great institution which celebrates its 50th Anniversary in 2017. This institution protects, preserves and restores the history of North America’s first deep water port.